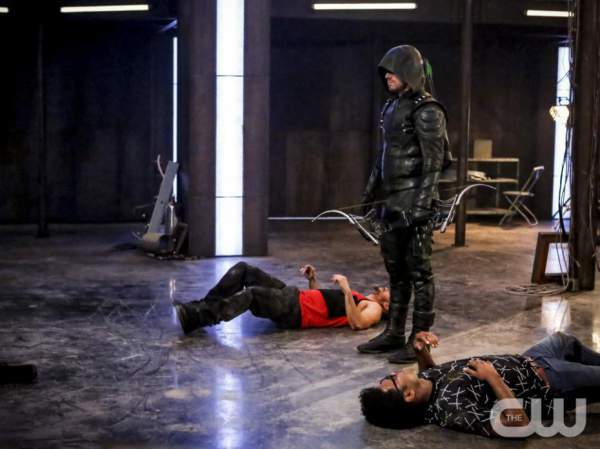 Arrow season 5 episode 15: Fighting Fire with Fire, episode will air on Wednesday, March 1 at 9 p.m.
Arrow season 5 episode 15 Written Update | Show Review | In episode 14, Oliver asked Adrian Chase to hide the involvement of Green Arrow in death of Detective Billy Malone. In the coming episode which is titled as “Fighting Fire with Fire” Oliver is going fight for mayoral seat. Vigilante has chosen to focus on the legislator and the outcomes are entirely dangerous. Oliver who is the current mayor of Star City is going to indulge in a fight with Vigilante in order to keep his mayoral position. Oliver is going to be seen facing a lot of trouble when Vigilante attacks on him. The episode will show the battle between Team Arrow and Vigilante. Prometheus will be seen making the things even worse. Losing the mayoral seat would prove that Prometheus was better among them. In a recent promo video Oliver says, “If we lose this office, then Prometheus wins” and Vigilante is heard saying, “My target’s the mayor and his corruption!” Vigilante is seen putting a bullet into Oliver’s head, even though he is the mayor of Star City. Prometheus tries to stop Vigilante from killing Oliver. But Prometheus and Vigilante end up fighting. Prometheus will try to kill the Green Arrow. Vigilante will be seen doing everything he can do to get the message by the mayor and also from the residents of Star City. Oliver will be ready to take the challenge. Not only the Oliver’s mayoral seat is not the only thing at risk but also his own life is in danger as vigilante is having an intention to kill him. The fans will get to see whether or not Oliver’s administration will be gone forever. Getting Oliver off the mayor’s seat and revealing his identity as Green Arrow seems to be part of the villain’s plans to defeat Star City’s vigilante-hero. The vigilante wants to murder mayor because he thinks that mayor is corrupt. But Prometheus has planned something else for the Green Arrow. Mysterious Prometheus might have a hand in leaking details of Malone’s death to the press. Oliver will try to find who is behind the character. The identity of the vigilante will also be revealed in this episode. Susan Williams will be back on the job. She might not think twice about exposing Oliver because in her mind, he was the reason that she got fired. Felicity Smoak and Helix will be in partnership. She thinks that the organization is a benefit to her and her team. She will get access to some information in this partnership that she wouldn’t be able to otherwise. The episode will air on Wednesday, March 1 at 9 p.m. on The CW. Do let us know your comments on Arrow season 5 episode 15. Previous articleSupergirl Season 2 Episode 15: “Exodus”, Alex and Kara trying to save aliens!! Next articleDragon Ball Super Episode 82, 25 February 2017: Will Goku save the Dragon Ball Multiverse or will he choose to win the battle? Arrow Season 6 Release Date, Spoilers & Cast: Is Richard Dragon The Next Big Villain?